“Bound to live together – Religions and Cultures in Dialogue”: this is the title of the 25th International Meeting for Peace that gathered us here in Munich in the past few days. Representatives of different religions and cultures have met to dialogue: we did not speak over each other, we spoke to each other. We did not pass by each other without looking at one another, we actually met. We prayed for each other and with each other. We prayed for peace! 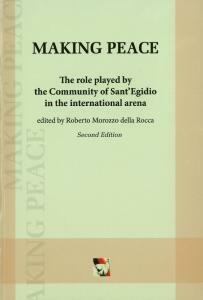 The mission that the Community of Sant’Egidio set before her has become a reality, and many political and civil society leaders have been moved by it. The spirit of Assisi and the spirit of Sant’Egidio generate a new inspiration for our global community! Do not underestimate the power of this meeting! You who have lived these days together, and all those who have prepared them, made a unique contribution to turn these days into an inspiring and joyful experience. In a climate of mutual esteem, respect and friendship, we have agreed on what we strive for, and on what we actually can achieve, in order to let the whole world, the whole family of humankind, advance towards the future filled with courage and hope. No country exists only for itself. Even Europe cannot – and will not – be self-sufficient: indeed it has a mission for the world. We live in an interconnected world, and we face complex challenges. We must and can cope with these challenges. We cannot shy away from the future out of fear, we do not want to! Rather, we wish to look for ways to make progress. 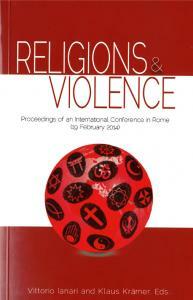 Particularly, religions make an important contribution in guiding humanity towards a better future. They help it turn to God, Creator and Father of humankind. They position all people in a wider, common horizon. We accept this mission, and we commit ourselves to taking the pathway of comprehension and reconciliation. I thank you all for coming to Munich, and I am glad that the Archdiocese of Munich and Freising, together with the Community of Sant’Egidio, could host this 25th meeting for Peace. Communicate the peace-making power of true dialogue, which we experienced here together, in the areas in which you bear responsibility! Tell your dear ones about it! Inspire others, so that they may join our common cause! We are all responsible for peace, and for the future of the world. Therefore, we must not – and indeed will not – spare ourselves. Peace is worthy of whichever commitment!